If you're looking for activities to fill up your calendar this Easter break then your local shopping centre can be a great place to start! 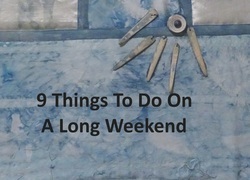 Not only do they put on heaps of child friendly events and workshops whenever there are school holidays, 9 times out of 10 the activities are completely free of charge! Winner! We've scoured the net to find out what's going on over the next week at some of the best Brisbane shopping centres and there's sure to be one near you. Make a friend for life- with 15 Stuffler plush animal skins to choose from, kids can create their very own pal these holidays and personalise them with a name of their own. To celebrate the newly released Smurf movie, kids can enjoy activity sheets, Smurf face painting and creating their very own Mushroom house. Cost: Cost of entry is free and bookings not required. Celebrate the new Smurfs movie with a fun workshop and the chance to meet some of your favourite characters in person! Think your child has what it takes to create their very own LEGO masterpiece? There will be four competitions per day and heaps of awesome LEGO prizes up for grabs for those who come first, second or third and all entrants will receive a "bookmark of excellence' for taking part. Make your way through the asteroid fields, take part in Padawan training with a Jedi Master, interact in the space tech hub and get your photo taken in a giant Star Wars blister pack. GOMA is turning 10 and to celebrate, the Queensland Art Gallery has joined forces with Australian and International artists to create the Gallery’s tenth children’s book 10 Ways to Make Art. Kids can come along to Carindale to take part in one of the featured activities and take home their very own wearable piece of art. Get up and close to creatures from the deep! Kids can learn all about different marine life and explore different ocean artefacts in this fun and educational workshop. As well as learning lots of interesting facts, children will also have the opportunity to get crafty and create their very own ocean creature. Nick Jr. invites you to come play and learn with Dora on a fun filled dancing adventure. Dora will have you up and marching like ants, wiggling like spiders and slithering like snakes as you join her in her exciting live stage show. Children will also have the opportunity to meet Dora in person and have their pictures taken. Time: 11am & 1pm with the meet and greet at 12pm daily. Level 4 near Best n Less. Join us this Easter for an Augmented Reality experience and find the invisible eggs to reveal a super surprise. This self guided hunt brings a number of surprise characters to life on your phone. Check out their website for further details on how to play and what you'll need on the day. Alex Hills Shopping Centre will be running lots of different Easter themed Arts and Crafts this school holidays for kids to enjoy and take home with them. Come and see Ben Elf and Holly The Fairy as they explore the fun of playing games these school holidays! Learn to blow the Elf horn like Ben and flutter your fairy wings with Holly with this live action stage show. Time: 11.30am, 12.30pm & 1.30pm daily, outside The Myer Centre. Cost: Free, recommended for ages 2-10 years.